Abortion advocates got some rare good news on Monday, as the Supreme Court ruled 5-3 that Texas' restrictive HB2 law was an undue burden on women's right to have an abortion. After years of seeing law after law passed to limit access, it was a victory all around. And to see how crucial it was, you can sit down for a while (seriously, a while — it's 107 pages) and read the full Supreme Court decision on abortion. Texas' House Bill 2 included two provisions that would have severely affected women's access to abortion that, if upheld by the Supreme Court, could have had a devastating effect across the nation. The law, which would have required abortion providers to have admitting privileges at a hospital within 30 miles and would have required clinics to adhere to regulations placed on ambulatory surgical centers, would have shuttered clinics across Texas, shrinking the number in the second-most populous state from 19 to 10. Justice Stephen Breyer delivered the majority opinion of the court, stating "We conclude that neither of these provisions offers medical benefits sufficient to justify the burdens upon access that each imposes. Each places a substantial obstacle in the path of women seeking a previability abortion, each constitutes an undue burden on abortion access ... and each violates the Federal Constitution." Basically, the majority of justices agreed that, because Roe v. Wade gives women the constitutional right to end an abortion and subsequent rulings declared that undue burdens on that right are unconstitutional, HB2 could not stand. Amy Hagstrom Miller, the founder and CEO of Whole Women's Health (the lead plaintiff on the case), issued a statement Monday saying, "Every day Whole Woman's Health treats our patients with compassion, respect and dignity — and today the Supreme Court did the same. 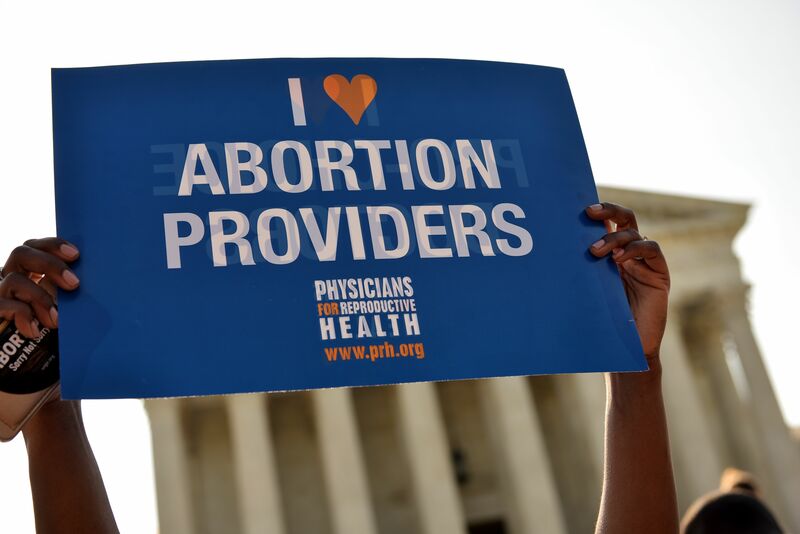 We're thrilled that today justice was served and our clinics stay open." The decision, as well as many other Supreme Court rulings that have been handed down, can be found on the Supreme Court's website.